Parkites and visitors alike know that Park City is the best place ever to live, work and play. 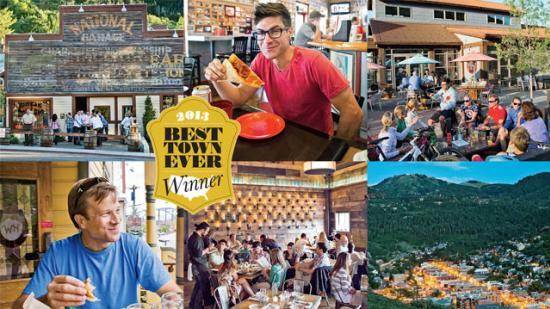 And now the good folks and fans of Outside Magazine have voted Park City, Utah "Best Active Town" in their Best Town Ever competition. Outside Magazine selected Park City as the "Best Active Town" in America based on its amazing access to world class recreation. Founded in 1884 as a silver mining town, today Park City boasts nearly 7,000 acres of open space, nearly 7,500 acres of skiable terrain and more than 400 miles of trails. Park City is the first Gold Level Ride Center for mountain biking in the world awarded by the International Mountain Biking Association. For a change of pace, the city-owned Park City Golf Club is consistently ranked as one of the premier public golf courses in the intermountain west. For the kids, and the kids at heart, take a ride on a mountain coaster, zip line or the alpine slide. Active towns work up quite an appetite and Park City&apos;s more than 100 restaurants offer choices from family friendly to fine dining. From Miner&apos;s Day to mountain biking, come find out why we are ranked #1. Plan the perfect Park City Great Getaway today and you could even win it.